Clipper® is the Bay Area’s all-in-one transit-fare payment card. In select locations, Clipper can even be used to pay for parking. Clipper works on buses, trains and ferries. Your Clipper card can hold cash value, transit passes, parking value or any combination. So while the Bay Area's complex transit network includes 17 different operators, Clipper makes it easy to move from system to system. Clipper offers many convenient ways to add value, and you can even set it up to automatically reload using a credit/debit card or bank account. 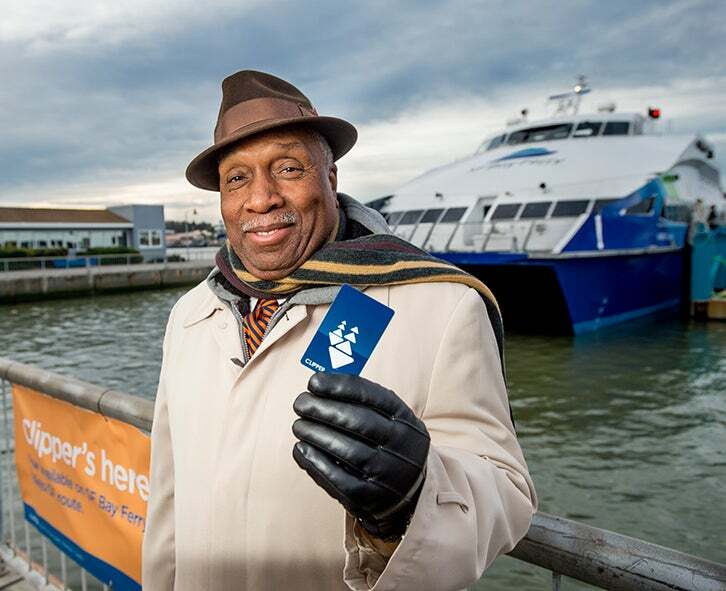 Find out how to get a card and more details at the Clipper card website. Youth, seniors and people with disabilities can get Clipper cards for discounted rides. MTC operates Clipper in partnership with the region’s 20-plus different transit agencies. To keep up with fast-changing technology, we’re now planning together for the next generation of Clipper to handle future growth. Through user surveys and customer feedback, MTC and Bay Area transit operators are exploring payment options, enhanced online account management and increased transaction speeds. Clipper has more than 1.4 million cards in circulation and is used for more than 700,000 trips a day! Already accepted by over a dozen transit agencies that account for some 95 percent of all Bay Area transit trips, Clipper will expand even further over the next two years to include virtually every transit provider in the region. What Does the Future Hold for Clipper®?